The student credit card niche has been a lucrative market for many credit card companies, especially over the past decade. With more than 5 out of 6 college students owning a credit card [84%!] credit card companies are doing whatever it takes to get their cards in the hands of young adults across the United States. Credit card companies like to issue cards to students for several reasons, they can charge higher APR’s because students do not have lengthy credit histories and they have the opportunity to get customers for life, 30-50 years! Intense competition between credit card companies has led to better rates and more rewards for student cardholders! Visa is one of the premier names in the credit card industry. When you step foot in an industry, as a customer or producer you always want to go with the best, in this case Visa is an excellent option. You do not become a 50 billion dollar company by not knowing what you are doing. 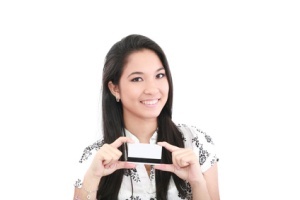 Visa has a great selection of credit cards for all sorts of people, but especially students. The first, and one of the best student credit cards Visa has to offer is the Citi Forward card for college students. This card is only offered towards college students and does not require a co-signer. You get an introductory period of 0% APR for the first 7 months you own the card, after that you will pay between 14-23%, which is pretty harsh. This card does not have an annual fee and making purchases will earn you Thank You points. All in all this is an average credit card, but as a college student you cannot be overly picky. This card has everything college students are looking for in a credit card and more. This card is geared towards college student only and there is no co-signer required which is a big plus for many! You will pay no annual fees and you get an introductory 0% APR for the first 7 months that you own the card. In addition you will pay a reasonable variable APR of 14-22% after the introductory period runs out. Whenever an APR is variable with a credit card you should assume that you will have to pay towards the upper end of the APR range, so expect to pay around 20% APR which is pretty steep. Instead of getting cash back you can earn thank you points for making purchases and even getting a good GPA each semester. This is a great overall card marketed towards college students only, I only wish the APR was not so high on the upper end of the range. The third and final visa student credit card to make the cut is the Wells Fargo College card. This card is geared towards college students like the two cards featured above it which is a big plus. Also, there is an introductory 6% APR period for the first 6 months you own the card, after that you will pay a variable APR of between 13-20%. To own this card you have to be at least 18 and you need to be attending an accredited 2 or 4 year college, Wells Fargo is serious about only giving out their special student cards to actual college students. You may need someone to co-sign the application for you if you are under 21 years of age. There is no annual fee for this card! It is tough to find things to complain about with this card, there are little to no fees, very reasonable APR and the card is geared towards college students only, who could ask for anything more? The three credit cards listed above would all make for excellent student credit cards. It is important to remember that credit card companies are taking a large risk by offering credit to 18-22 year olds with no credit history which is why student credit cards often times have higher APR and less lucrative terms than normal credit cards.